FOR IMMEDIATE RELEASE – June 16, 2018, Northridge, CA: Eric Edson, author of The Story Solution: 23 Actions All Great Heroes Must Take, will be a guest speaker on the panel “Navigating the Amazon: Building Your Author Platform” at the upcoming Santa Barbara Writers’ Conference. Since 1972, writers from around the world have gathered at this prestigious conference to meet with fellow storytellers, celebrate well-known authors, and network with publishing professionals. The 46th Annual Santa Barbara Writers Conference will convene at the charming beachside Santa Barbara Hyatt June 17-22 for a week-long journey into the world of writing. The panel discussion in which Edson is participating will be held on Friday, June 22, 4:00 p.m. in SB Hyatt room Vista III. Eric Edson has written screenplays on assignment for such companies as Sony-Columbia, Warner Brothers, Disney, 20th Fox, Showtime, and CBS. He is Professor of Screenwriting and Emeritus Director of the Graduate Program in Screenwriting at Cal State University, Northridge. 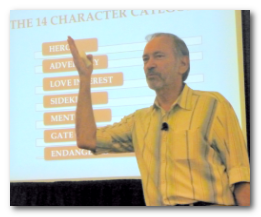 His book, The Story Solution, presents a unique approach to building powerful stories for screenplays and novels. Eric has partnered with SEO marketing executive Taylor Reaume to build a strong author platform online and create a unique social media presence, with a focus on great educational content for writers. 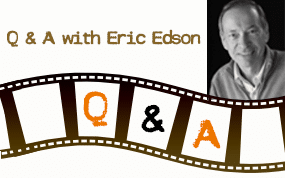 Edson recently completed a series of video interviews providing screenwriting insights for the online filmmaking community Film Courage. Other members included on the panel with Eric are moderator & author Marla Miller, author Janet Randall, marketing professional Taylor Reaume, and screenplay writer Cathy Byrd. This session will be open to registered conference attendees, and to the public for $10 at the door. The conference also includes five days of workshops, five keynote presentations by successful authors, book signings with author-speakers, and optional one-on-one manuscript consultations. p.s. Be sure to visit my website athttps://www.thestorysolution.com to download complimentary film structure breakdowns for Back to the Future, Bridesmaids, and Finding Nemo. 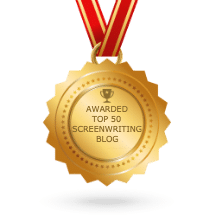 About The Story Solution:Eric Edson’s The Story Solution provides concrete insights for those interested in writing screenplays and novels. Regarded as one of the best books on screenwriting, The Story Solution is currently #1 in its category on Amazon China. Visit the website at https://www.thestorysolution.com to download a complimentary book chapter and listen to clips about creating characters. “Like” the Facebook page to receive tips on scriptwriting.